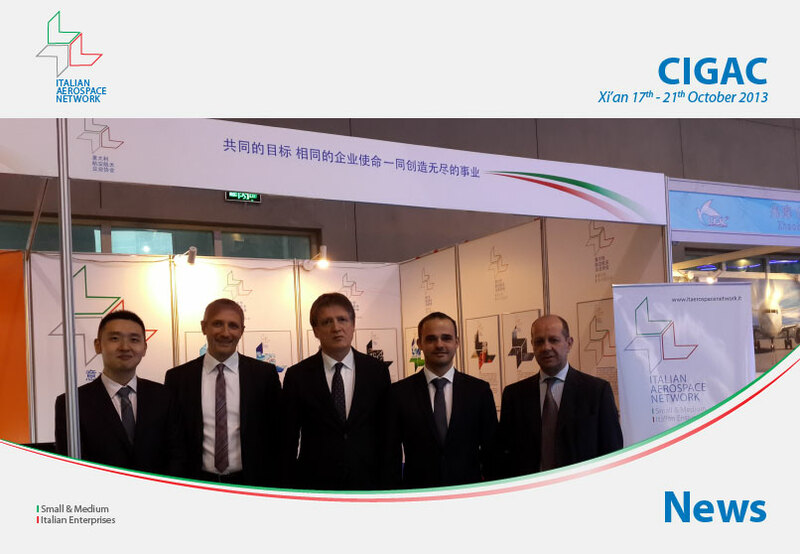 From October 17th to 21st 2013, the Italian Aerospace Network successfully exhibited in the China International General Aviation Convention in Xi’an (China). It was the first time IAN participated in a Chinese Air-Show. Due to the importance of this event, IAN received an official visit from the Counsellor of Technology and Industrial Innovation, Mr. Giuseppe Rao, who was invited by the main government representatives of the Shanxi Province and CAIB.